Today I found out that camels were acquired by the United States military and played a role in the settlement of the American west. Camels are no strangers to war. They have been used in the Middle East for centuries. However, they aren’t exactly the creatures you think about when you think “U.S. 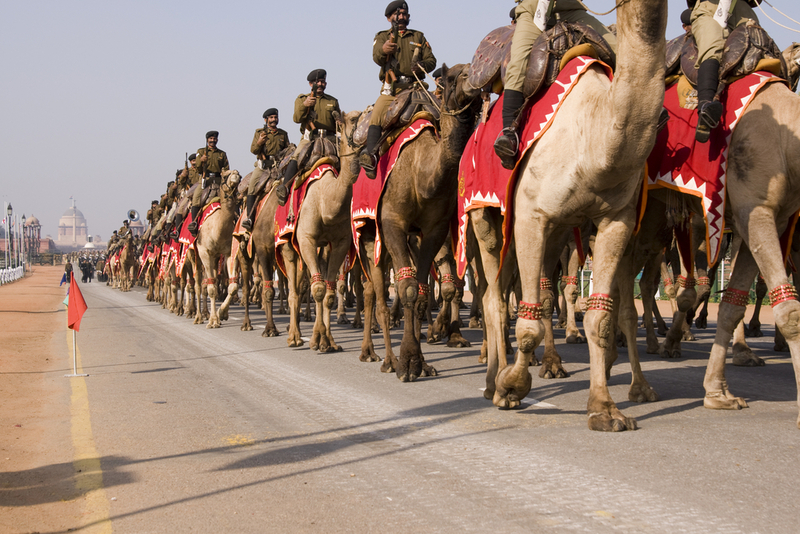 Army.” In 1836, George Crosman, a U.S. Army officer, brought up the idea of importing camels to the U.S. to help with transportation across the western frontier. At the time, his idea floundered. About fifteen years later, at the start of the 1850s, a couple of companies started importing camels to help American settlers travel westward. While those two companies failed, the United States Army finally picked up on the idea that they could use camels to work their way west. Over the next few years, more and more camels were imported. A batch of 1000 was taken to California by Otto Esche, a German entrepreneur who saw an opportunity in the camel business. The Camel Corps was set up in Camp Verde, Texas, where the camels were tested to find out their strengths and weaknesses. Camels did have their advantages: they travelled faster and required fewer stops than horses. They could carry up to 300 pounds, which was useful when transporting gear and supplies. They were made for the tough terrain of the American Southwest. Plus, they ate plants that other pack animals wouldn’t—which were, thankfully, plentiful in the dry southwest environment. Initially, camels were used to ferry things like salt, corn, grain, and mail from Arizona to Los Angeles. They proved to be a popular mode of transportation for people as well. While they were useful, their stubborn nature and the way they frightened horses worked against them. Soldiers on the whole also weren’t happy about accepting the creatures into their ranks. During the Civil War, the camels were more or less forgotten despite the fact that they were located in the south and Jefferson Davis, camel advocate extraordinaire, was now the leader of the confederacy. The camels were largely kept out of action, partially as they hadn’t been trained to work as cavalry yet. However, eventually some of the camels were put o work taking cotton to Mexico, where the South hoped to trade with the British for supplies. 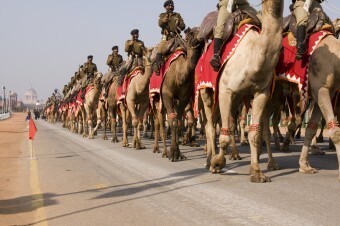 This was all the action the camels saw during the war, despite the high hopes that Major Wayne had had for them. After the Civil War, camels were considered too mean and stubborn to be helpful, despite their actual utility. Besides, Jefferson Davis had advocated for camels, and most people wanted to wash away thoughts of the Civil War, including anything to do with the Confederate leader. When the transcontinental railroad was finished, camels were considered completely useless. Now items could be shipped across the country faster than ever before. There was just one issue: the camels were still around, terrorizing horses and using up resources. Some of them ended up being sold to circuses, or were auctioned off to private buyers. Some were killed and made into jerky. Many were simply set free and allowed to wander where they pleased. It’s believed that some of these camels journeyed as far as Canada. There were sightings of wild camels in the south west of the United States until about the mid-20th century. The fossil of a giant camel—standing about nine feet at the shoulder—was found in Canada’s arctic tundra. It’s believed that when the camel lived about 3.5 million years ago, the area was much warmer. However, it did have severe winters as well. The camel was able to survive because of its broad hooves and hump, which allowed it to store fat. These are the same reasons the camel survives in the desert so well today. The giant camel is believed to be a direct ancestor of modern camels. America isn’t the only place that imported camels. Australia also imported up to 20,000 camels from India in the 19th century to help with exploring the country, much of which is desert. It’s believed that some started to break away from expeditions to make a life for themselves in the Land Down Under. Unlike in the US, the camel population in Australia flourished, and it is now estimated to have one of the largest feral camel populations in the world (estimated at 750,000 camels in 2009). Needless to say, a huge population of an introduced species does no favours to the existing environment. The government has set up a program to cull the camels, with about 160,000 being killed in the last five years. The camels are then used for meat in pet food as well as sold in supermarkets as a game meat for humans. Thanks for sharing the story of the old camels. I’ve been reenacting this quirky bit of history for almost twenty years with our family’s camels.